Today we really didn't get very much done on the bus. 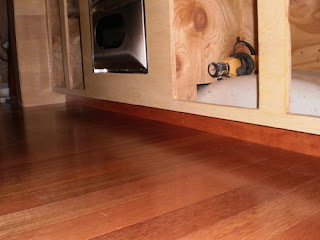 We started by installing the kick panel under the kitchen cabinets. 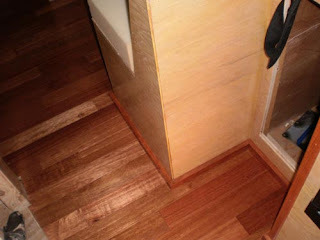 This was archived by using a stained and varnished piece of 1x4 pine. 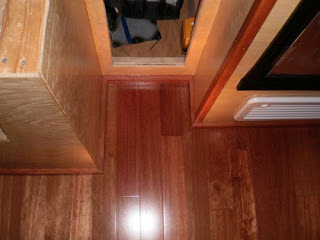 Next we installed some trim right by the fridge, cabinet and dinette.